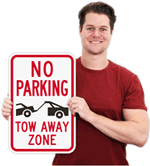 We make it simple and easy to mount your signs. This selection is based on a lifetime of work in the field. 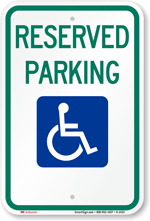 We have narrowed the choices to just a few that professional sign installers use most commonly. 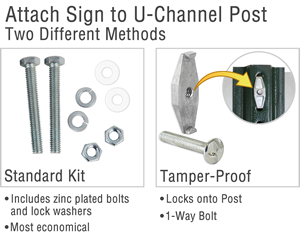 • For u-channel posts, it is hard to beat our inexpensive 4-Bolt Standard Kit. 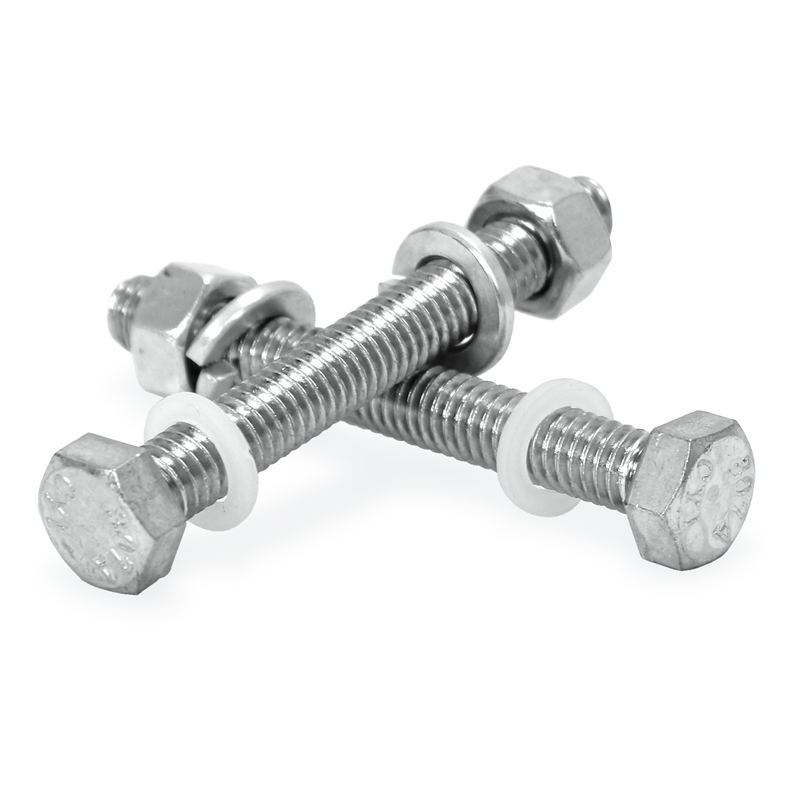 Equipped with bolts for both heavy-duty and standard u-channel posts. 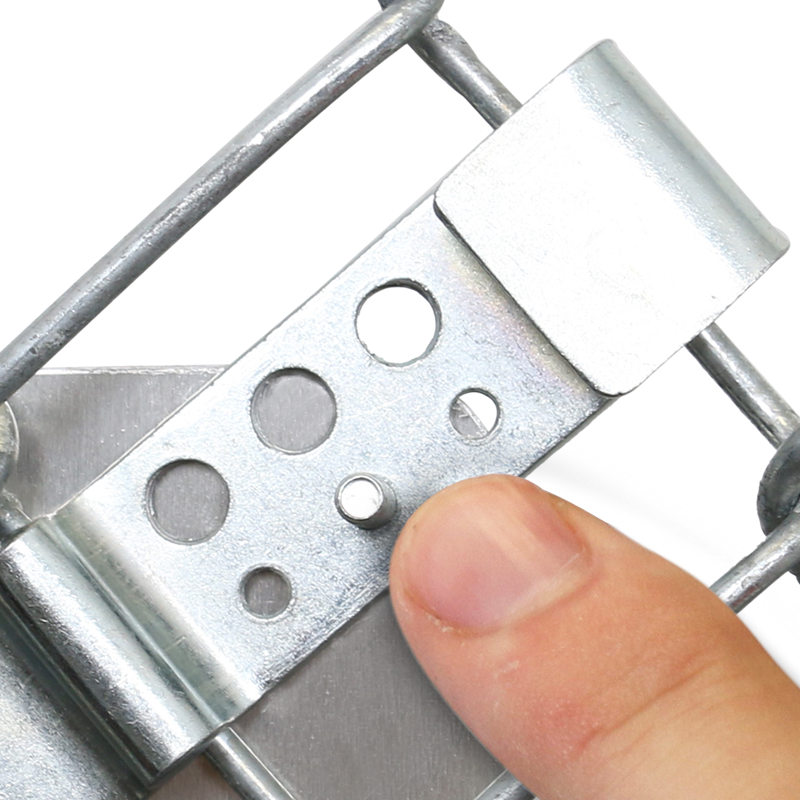 • For fences, the innovative EZ-Clip is hard to beat. 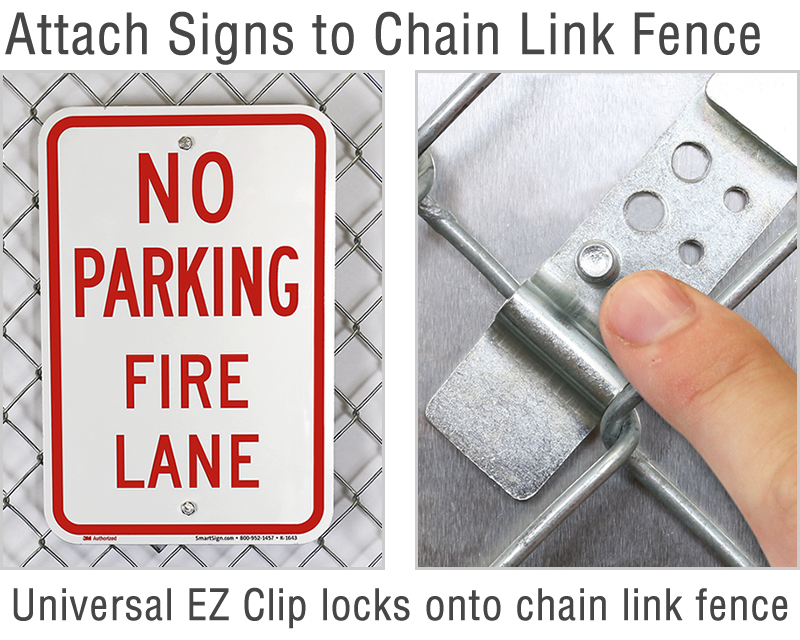 Requiring just a single person to install a sign, this clip can be used on all chain line fences (use for both tight and loose chain link weaves). 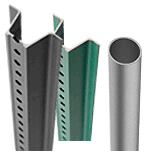 • For traditional round galvanized poles, use our aluminum brackets. Be aware that there are many other systems that require a level of dexterity that most of us do not possess. This system is the favorite of most municipal crews. 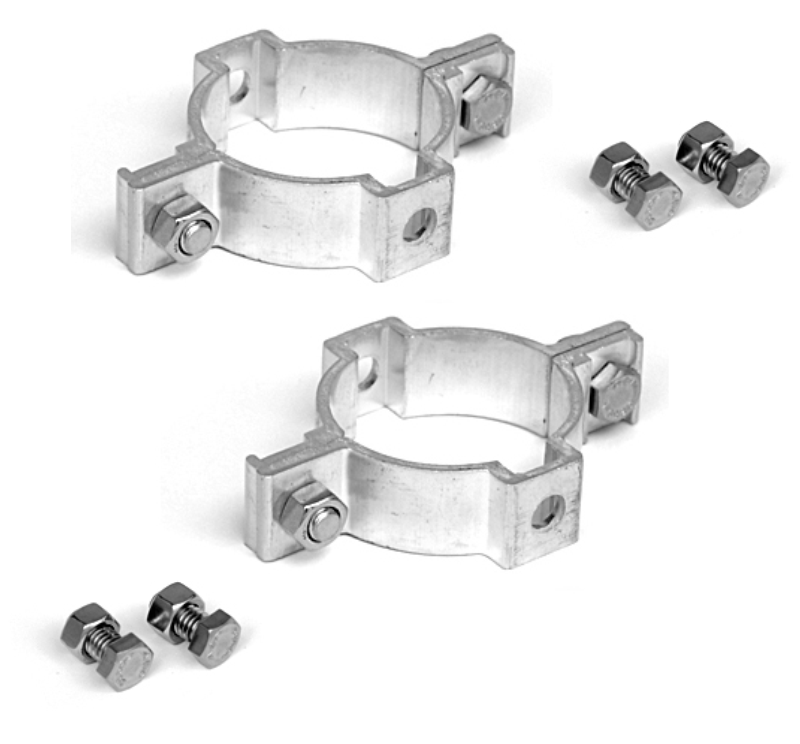 • For wooden poles, larger light pole or cement posts, our stainless steel hose clamp brackets are best. 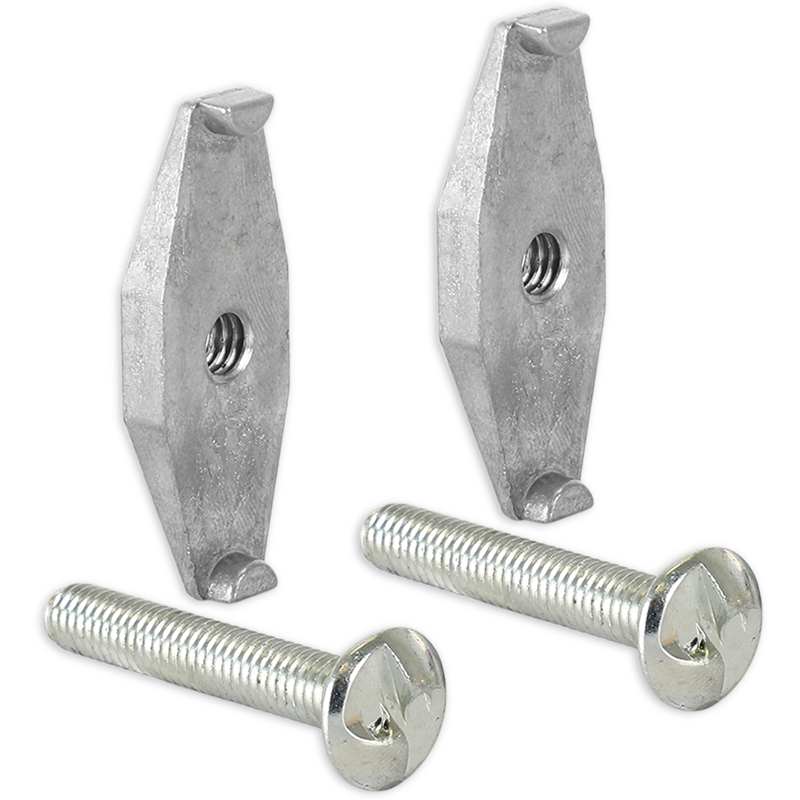 • For alleys or wall mount, our cast aluminum wing brackets work well. 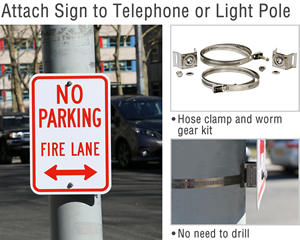 They clamp onto the sign and project the sign perpendicularly from the wall or post. 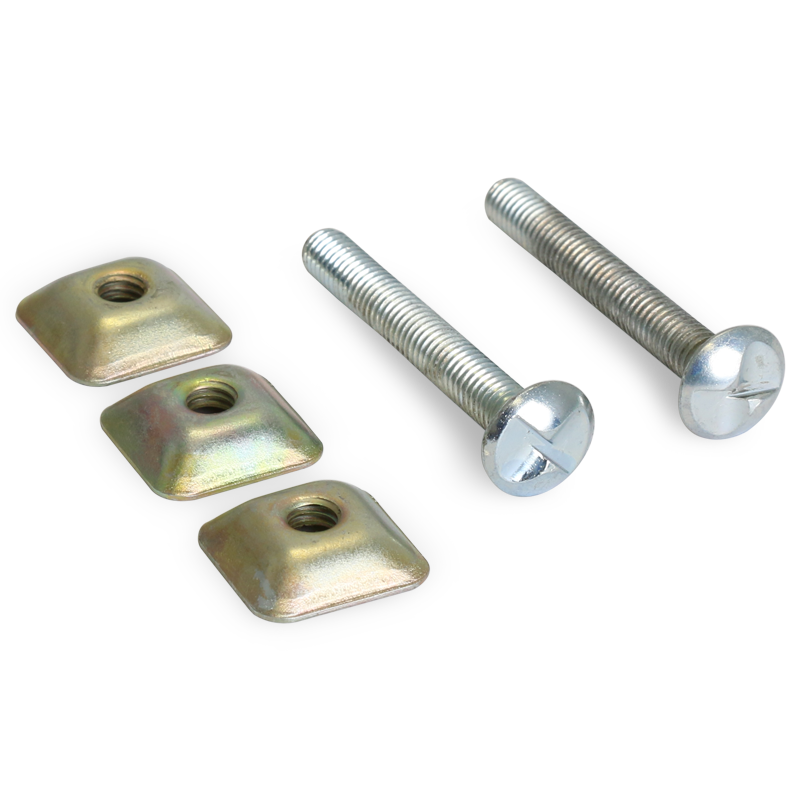 Our Best Selling Hardware Attachment Kit! 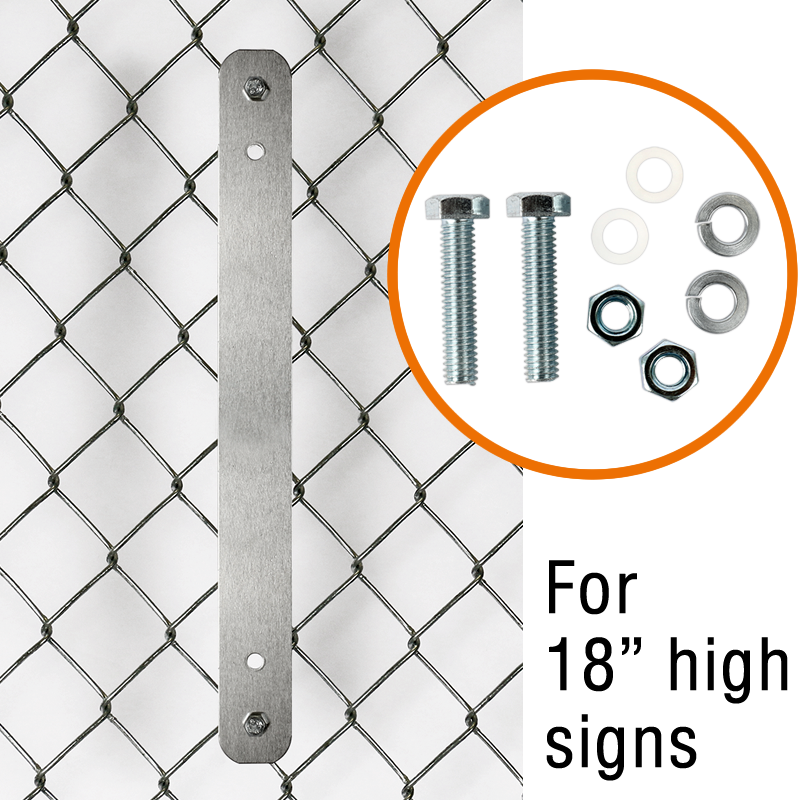 This hardware kit is compatible with our posts and signs and easily fasten your sign to your post. Most signs are attached to a u-channel post. And, most use our simple and inexpensive kit (below). 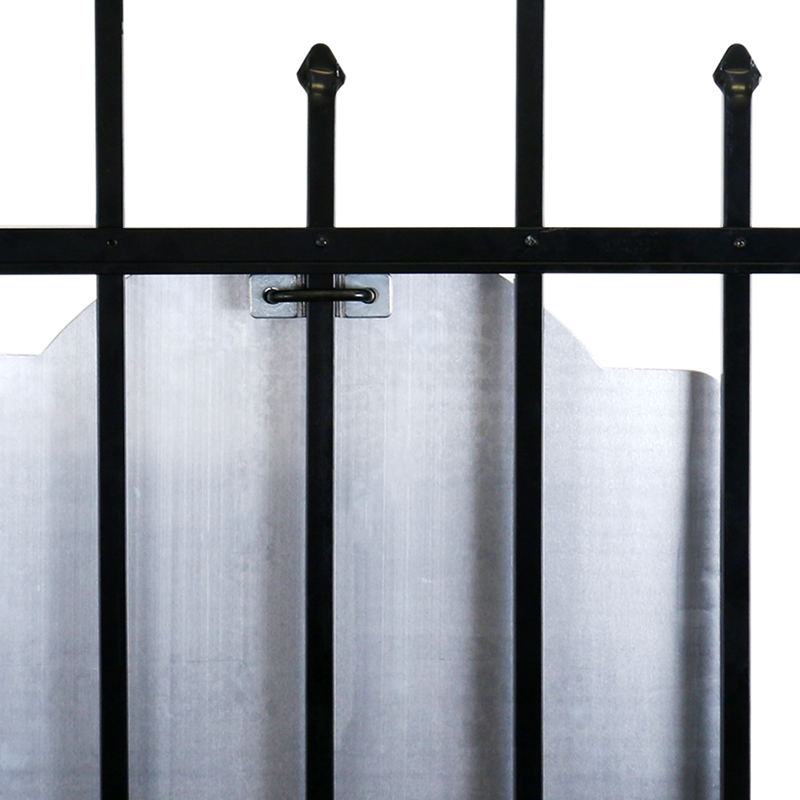 For greater security, however, we recommend our Tamper-Proof brackets. 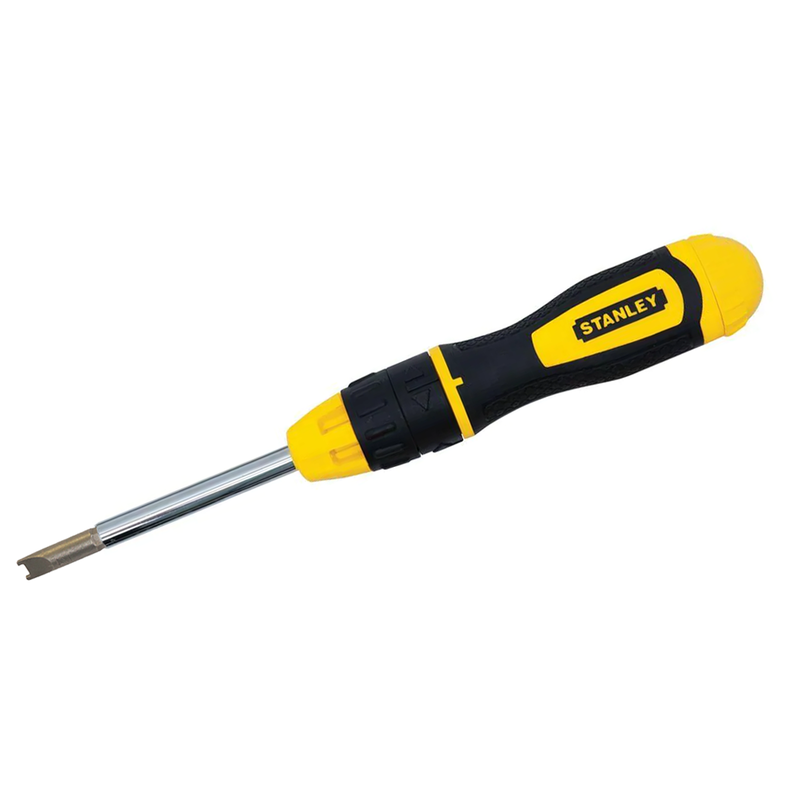 These can be installed easily with a normal screwdriver. But, you will need a special tool to remove them. Lastly, check out our post pounder or drive cap. These simple tools can really make a difference. 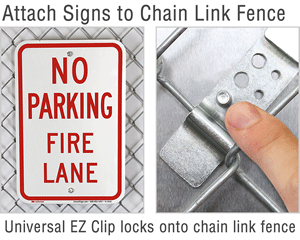 Our Universal EZ-Clips take just one person to install a sign. 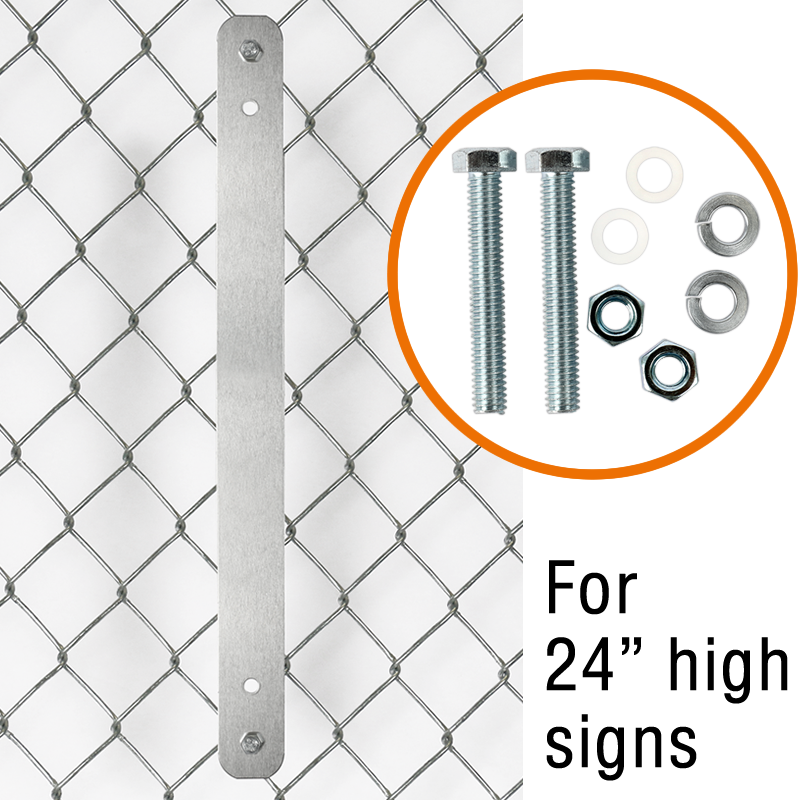 Fits all sizes of chain link fences and all common sign hole sizes. 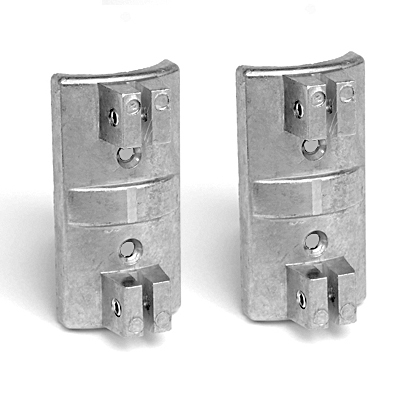 Sold in pairs and they are our best seller. 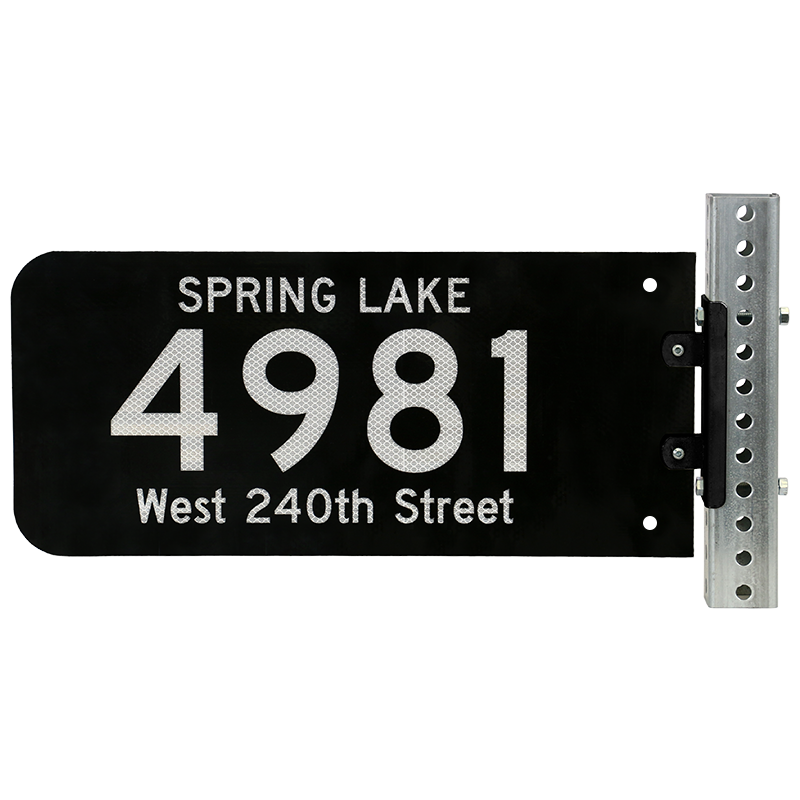 Our tall brackets (for 18” and 24” signs) shown below have been used for a generation of sign installers and remains a traditional favorite. 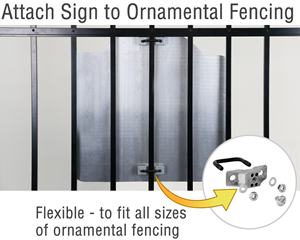 We make it easy to install a sign on ornamental fencing – common at playgrounds, pools and dog parks. 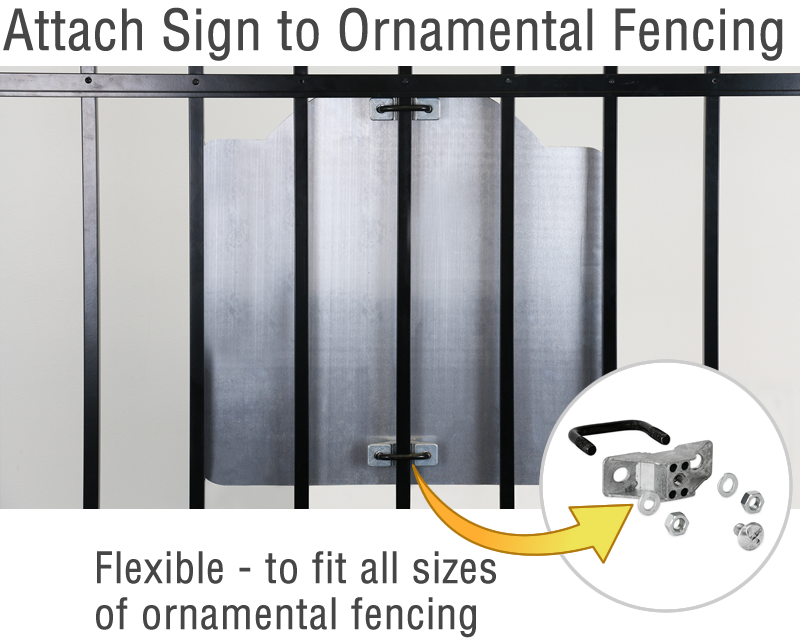 This innovative bracket fits most common ornamental fence types and make it easy to position and level your sign correctly. Use our Round Post Brackets for standard and common round steel poles. 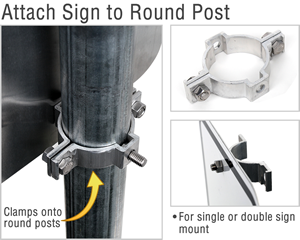 For larger posts, pedestals and poles from 2” to 15” in diameter, use our Hose Clamp kit. 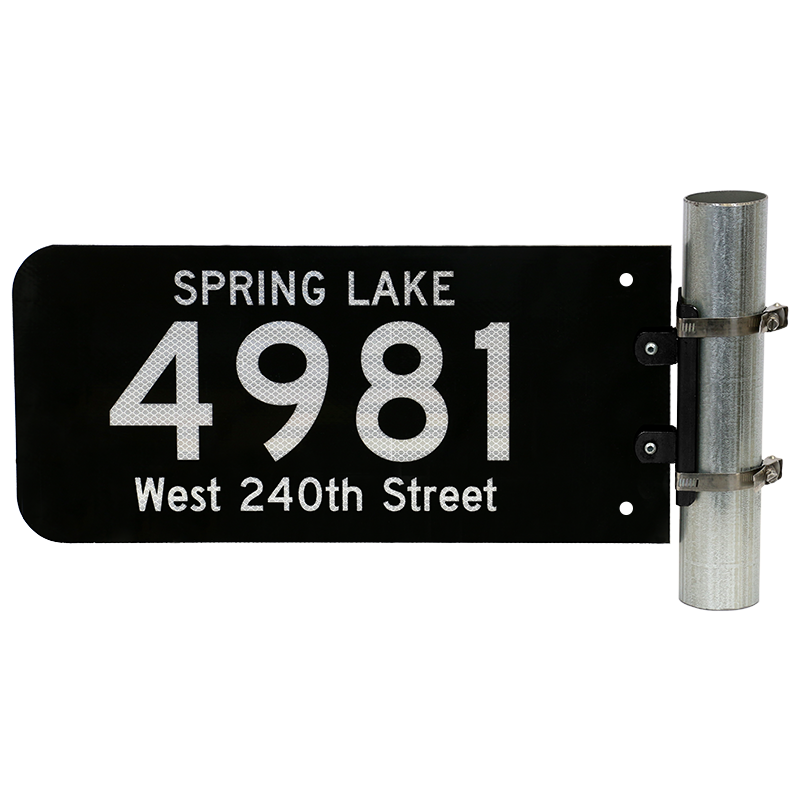 If you want to “flag mount” your signs use our Wing Brackets. 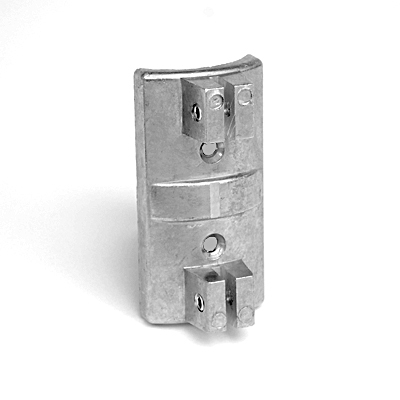 Wing Brackets can also be used on square or u-channel posts. 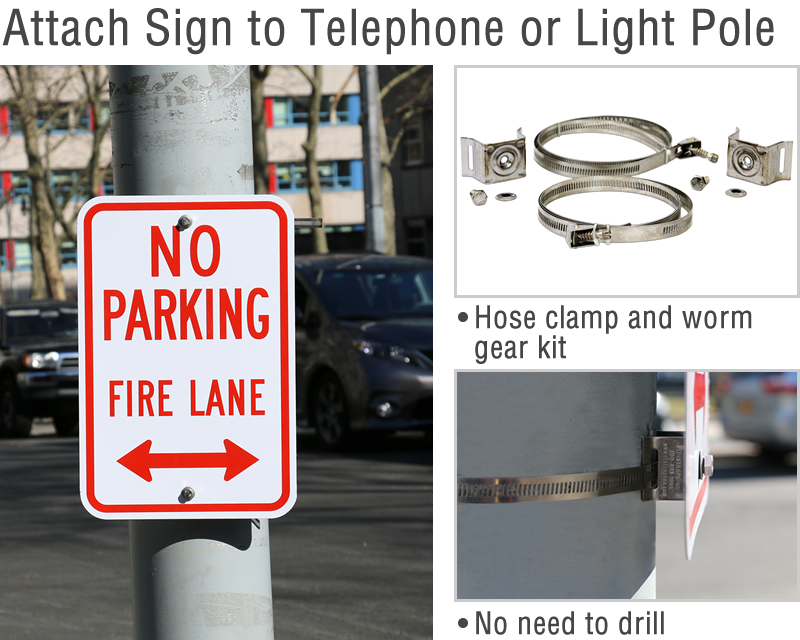 Or use the Wing Brackets to perpendicularly mount a sign on a wall, such as in an alley. 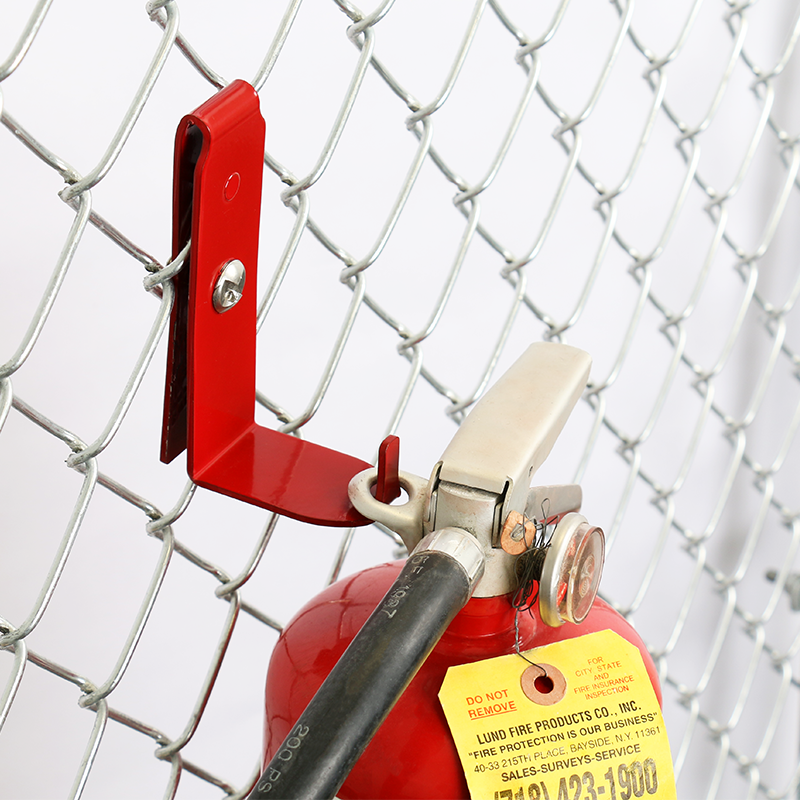 A quick and efficient way to attach a sign to chain link. works as advertised. Would buy again. Worked perfectly for the application. No instructions, so I had to fiddle a few minutes to figure out how to rotate the tightening screw into place.